That's what I'd say if someone asked me what I thought about playing poker in Wyoming. It's not bad, but it's not great either. On one hand, online poker appears to be illegal, and Wyoming shows no sign of interest in regulating online poker either way. But on the other hand, you're still able to play online, from your home and in one of the few tribal casinos in the state. You just have to follow the rules. Read on to learn what those rules are. Is Online Poker Legal in Wyoming? Wyoming's laws say nothing about online poker. However, considering that gambling in general is illegal, and a misdemeanor, we're going to assume that online poker is illegal as well. 6-7-102. Gambling; professional gambling; penalties. (a) A person who engages in gambling commits a misdemeanor punishable by imprisonment for not more than six (6) months, a fine of not more than seven hundred fifty dollars ($750.00), or both. Home poker games are fine so long as no one is going in as a professional with the intent of winning aka making a profit. Gambling as a profession is a felony. But playing in a social game, for fun, should be ok. There are 3 tribal casinos in Wyoming. They all offer poker (and other table games). 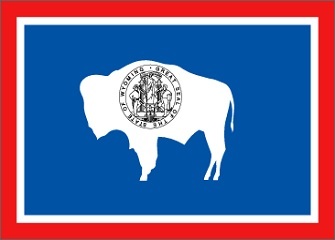 We receive a lot of questions about the gambling & poker laws in the state of Wyoming. You'll find those questions, and our responses, below. Will online poker be regulated? We've found nothing in our research that would indicate that Wyoming has any interest in regulating online gambling, one way or the other. Is there an online poker room that accepts players from Wyoming? Yes. Residents of Wyoming can sign-up anywhere that accepts US customers. This includes sites like Bovada, Sportsbetting.ag and Sportsbetting Poker. What other forms of regulated gambling is offered in Wyoming? Wyoming has para-mutual horse racing. Where can I read more about Wyoming poker laws? Here are some interesting facts about gambling and Wyoming. Wyoming rejected a proposal that would allow for a state lottery in 2011. Wyoming is home to a shell company that was associated with the Black Friday poker indictments. More than 2,000 companies were registered with that one company. Wyoming arrested 8 people for gambling offenses in 2011, while arresting no one in 2010. It is legal for bars and restaurants to host poker games as long as they don't take a house fee or otherwise profit from the games.